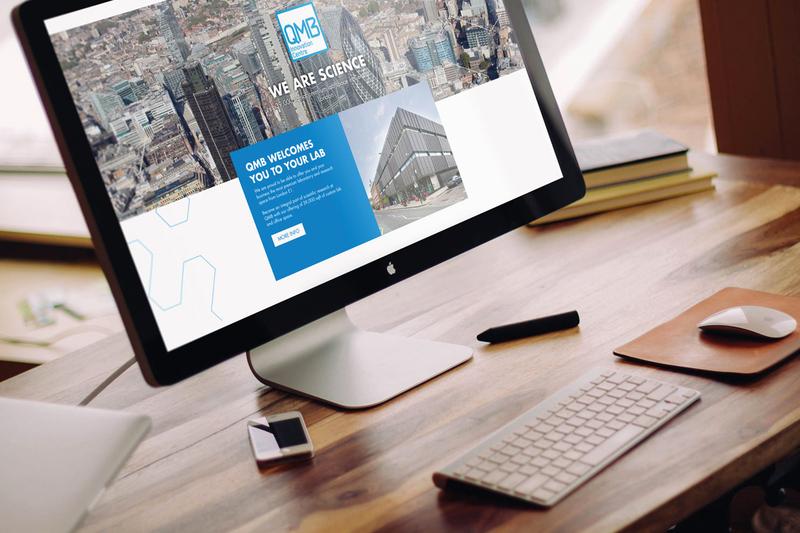 A new website, printed literature, eMarketing and event material for the largest purpose-built laboratory space to rent within central London. 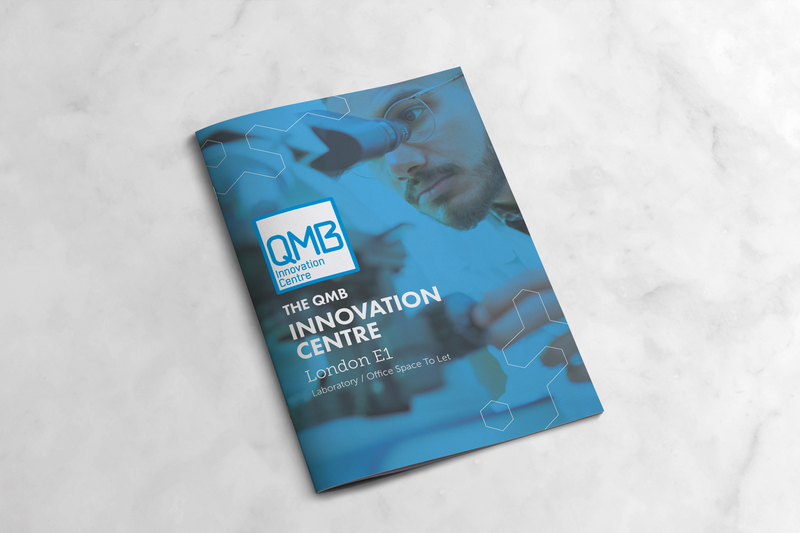 The QMB Innovation Centre is the largest purpose-built laboratory space and only grow-on space currently available for rent in London. 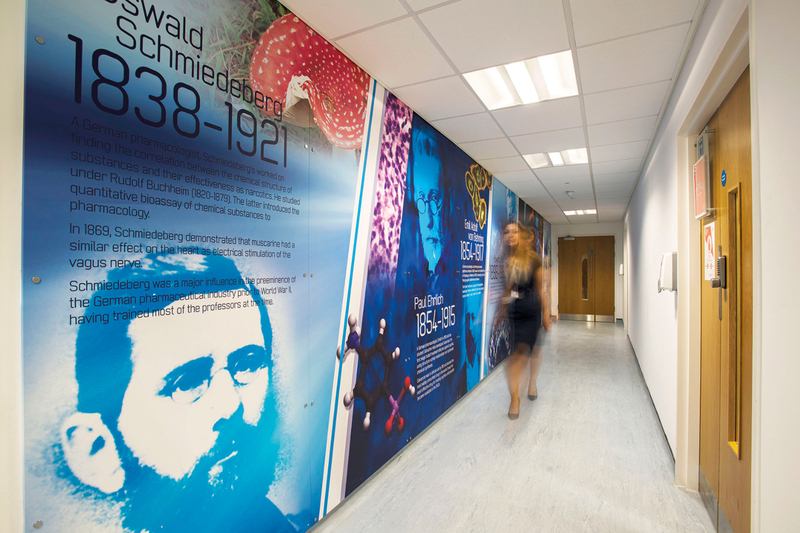 QMB provides brand new laboratory space to rent within central London. 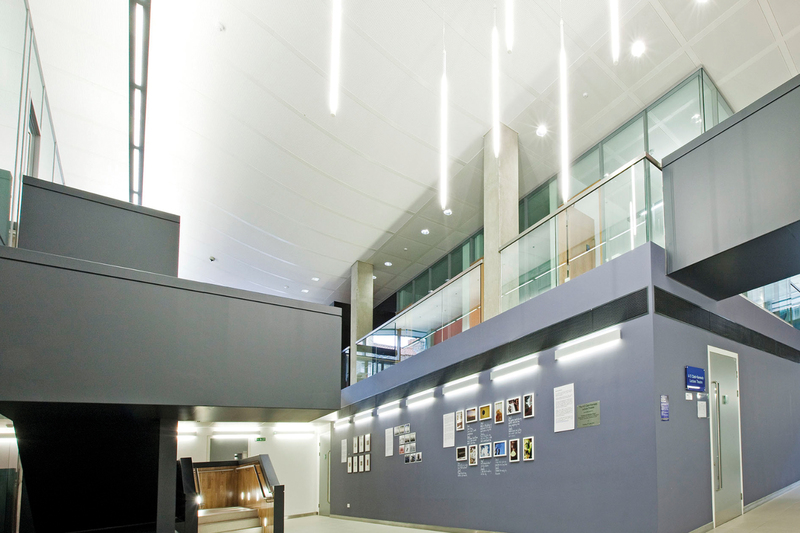 The construction of QMB was triggered as a result of visible demand for incubation space within London. The QMB project is the culmination of an investment partnership between Queen Mary University of London and the London Development Agency. 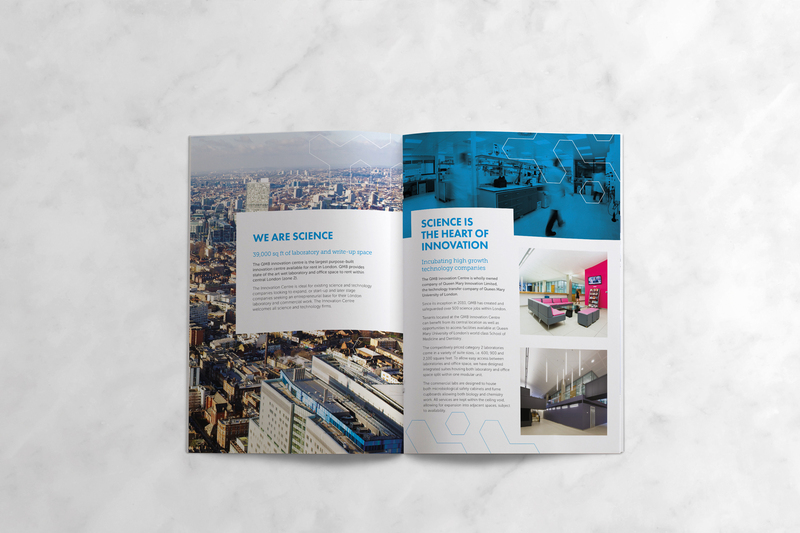 When Identity Creative were first approached by QMB in 2010, they needed assistance for promoting the available lab space in the country’s capital. Identity produced for them a new website consisting of carefully written copy, concise information and stunning photography. In addition, and essentially, the new site ranked on page one of Google for the desired keywords and phrases, thanks to Identity’s SEO expertise. 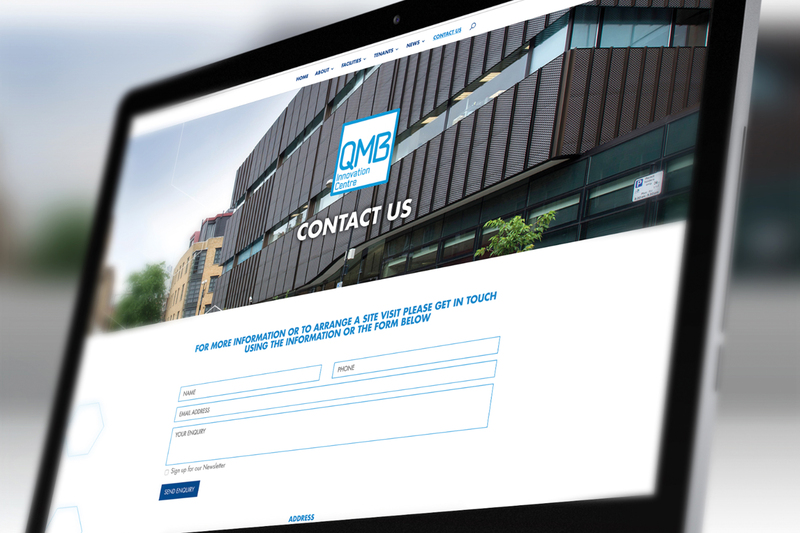 Since then, the design of the website has been refreshed and a sleek new look for QMB introduced. As part of the ongoing work and support for QMB, Identity Creative have continued to produce brochures, newsletters, emailer campaigns and exhibition material. A new website has since been produced, building on the success of the original and bringing it up-to-date with a modern, mobile-responsive layout. We are proud to have a piece of bespoke artwork featuring in the boardroom. QMB asked us to create something eye-catching, thought provoking and completely bespoke to depict their location in proximity to London’s landmarks. 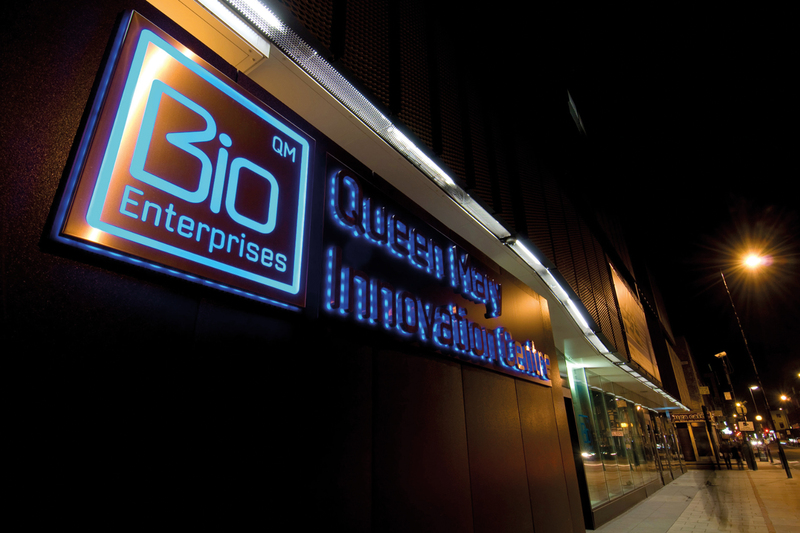 Since its inception in 2010, QMB has created and safeguarded over 500 science jobs within London.